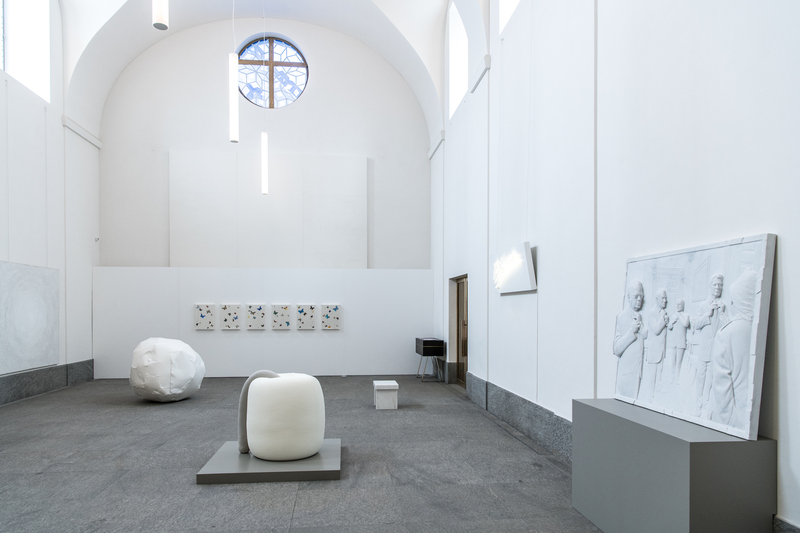 An exhibition that highlights the essence of the artworks, putting the chromatic spectrum aside. 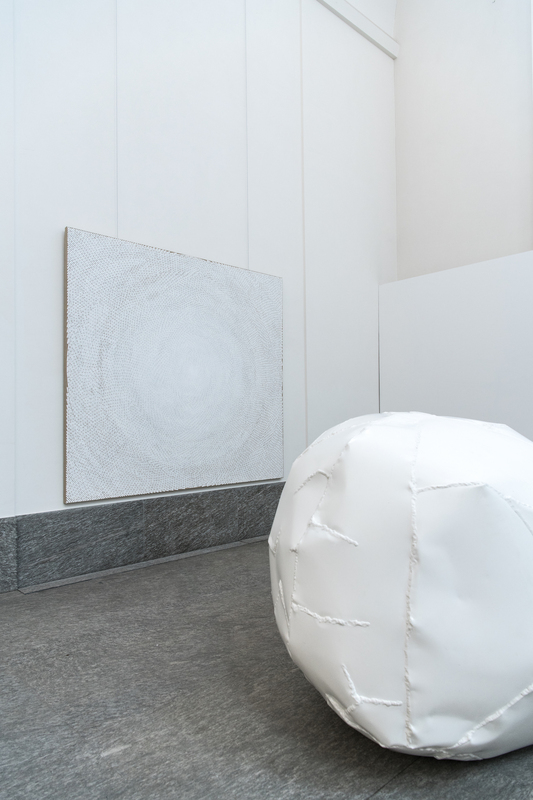 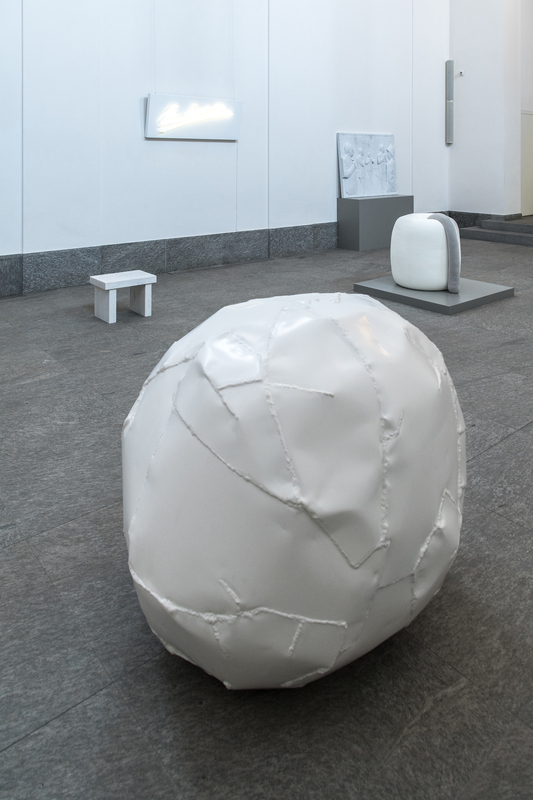 St. Moritz Art Masters, Moncler, Robilant+ Voena and Studio Geuna are hosting Contemporary White, a group exhibition that brings together a selection of works by contemporary artists connected to the color white. 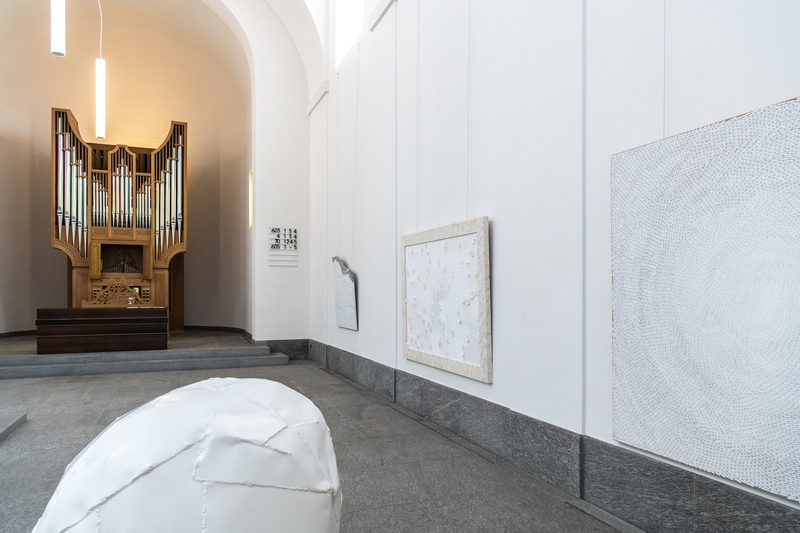 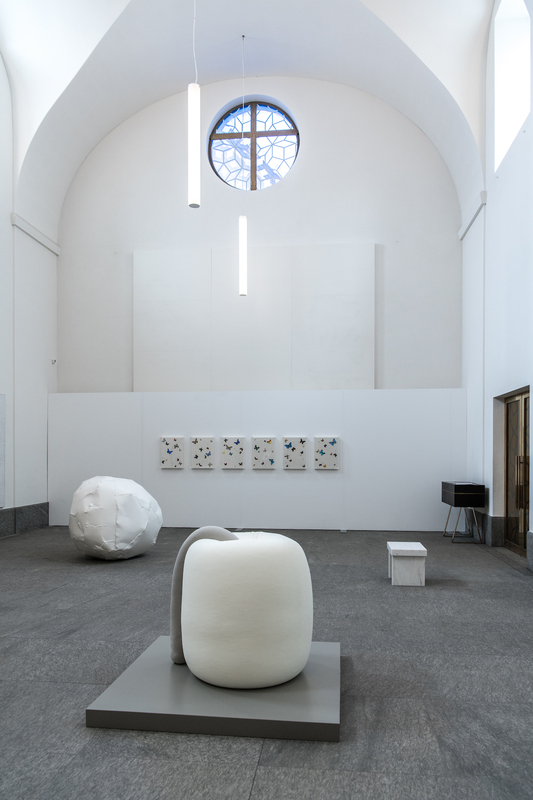 The visually engaging monochromatic works are presented across the imposing central aisle of t St Moritz’s Protestant church, and invite visitors to a mental journey through the symbolism of the color white. 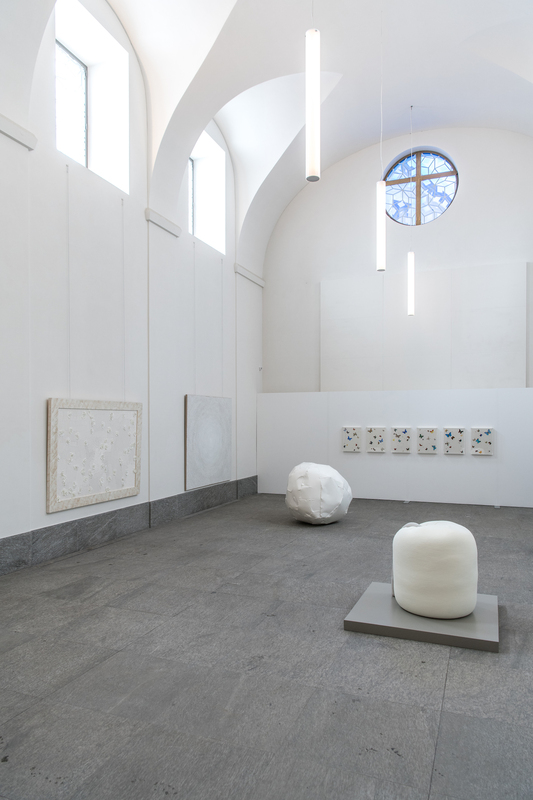 Various of artists with different cultural heritage and nationality such as Adel Abdessemed, Tracey Emin, Jenny Holzer, Giuseppe Penone, Pascale Marthine Tayou explored the color that contains all the colors through a wide diversity of techniques and materials. 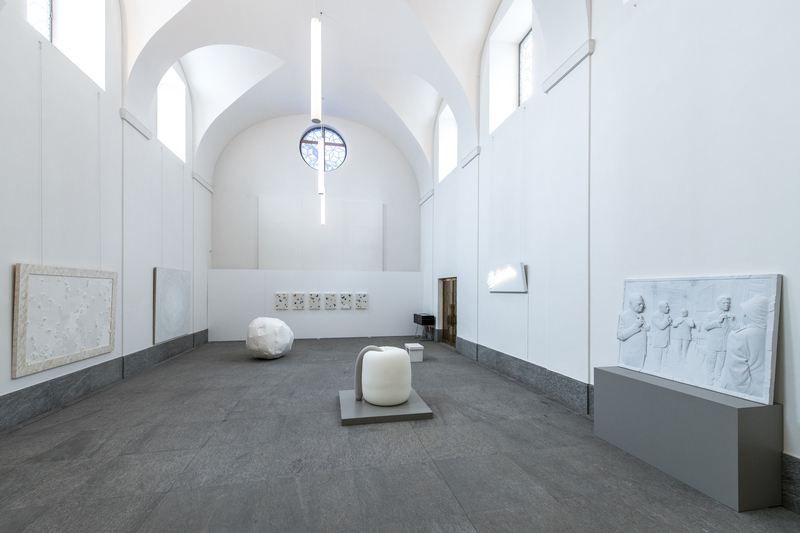 The restrained palette gives to the exhibition a unique aesthetics in which the ‘a-chrome’ becomes the primary tool of expression. 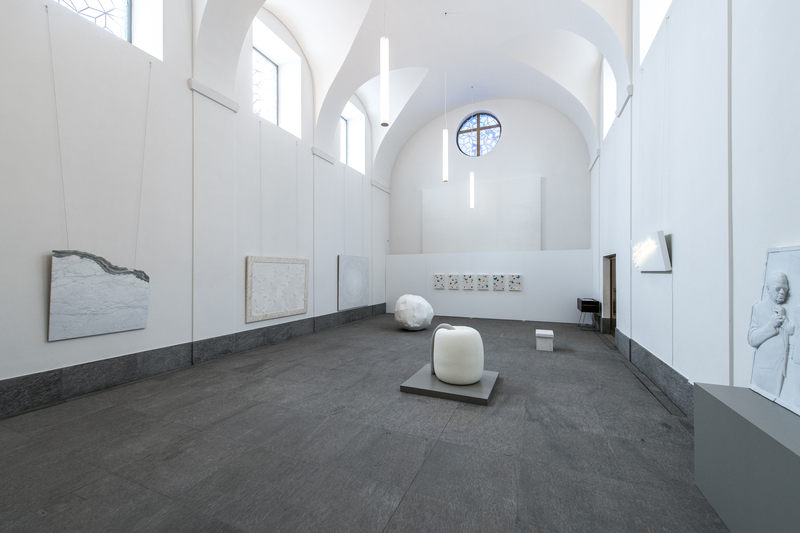 The white cube-effect and the visual purity inspired by the showcase are strikingly adding to the neutrality of white and succeed to turn the viewer’s contemplation into exploration. 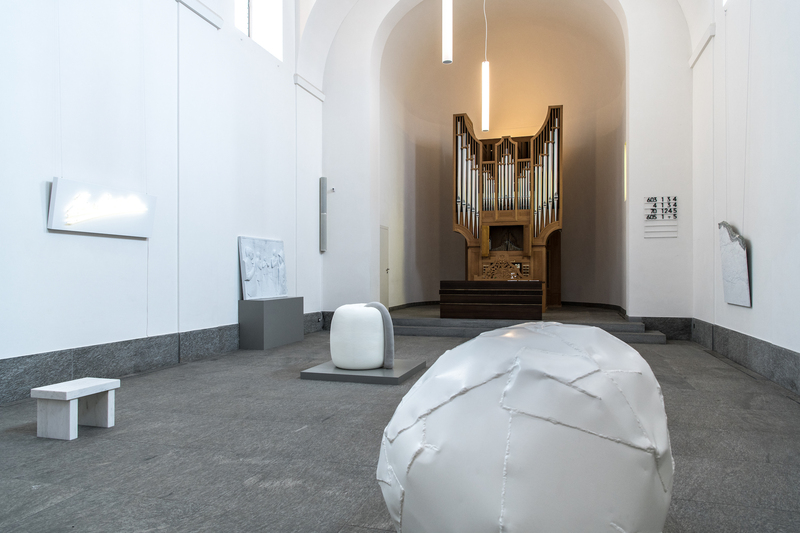 The spiritual abstraction of Y.Z. 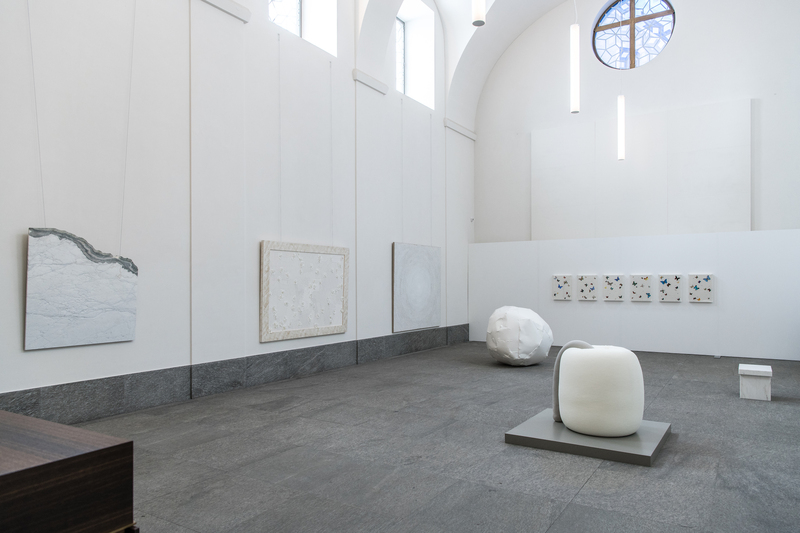 Kami’s White Dome is juxtaposed to the delicate transcendence of Damien Hirst’s Prayers for Divine Mercy. 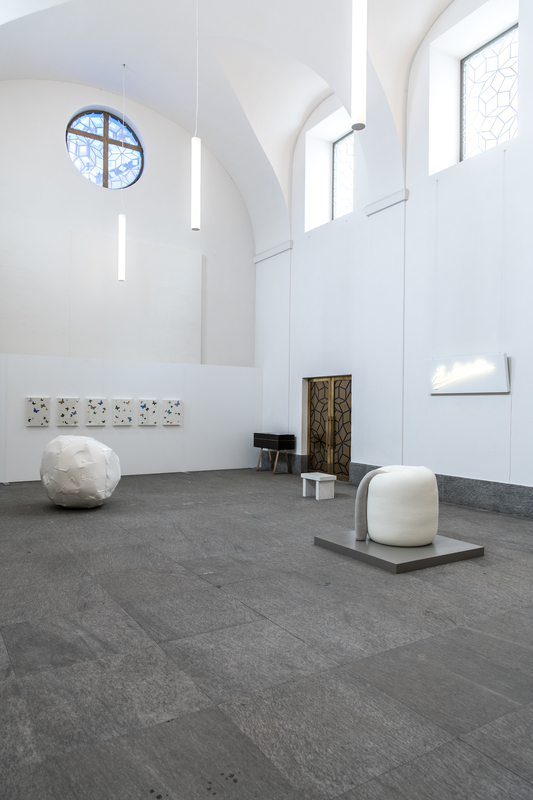 The sobriety and elegance of the church is like a safe haven on earth to free the spirit and inspire liberation whitin the complete silence of colors, which draws the viewer’s attention towards the airy and dreamlike elements of the artworks. 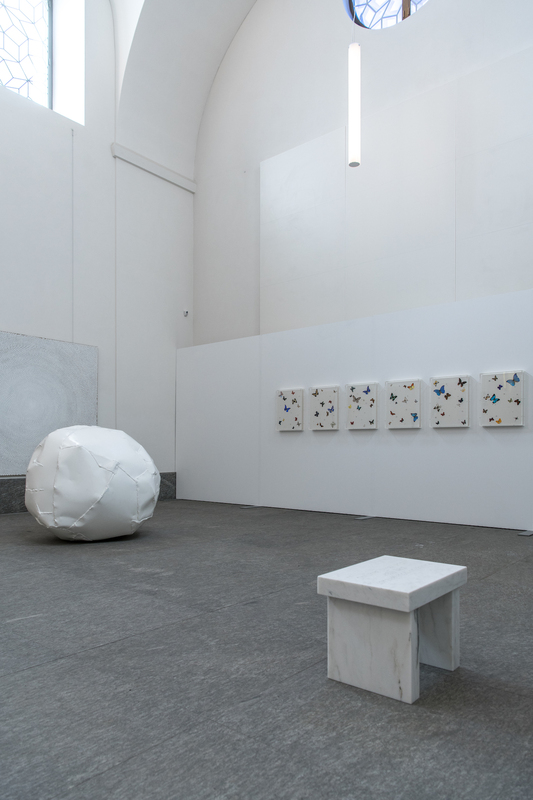 Embracing a multidisciplinary approach to art, Contemporary White aims to highlight the essence of the works on show, putting the chromatic spectrum aside.